Organ Trail is a retro zombie survival game. Organ Trail is a retro zombie survival game. 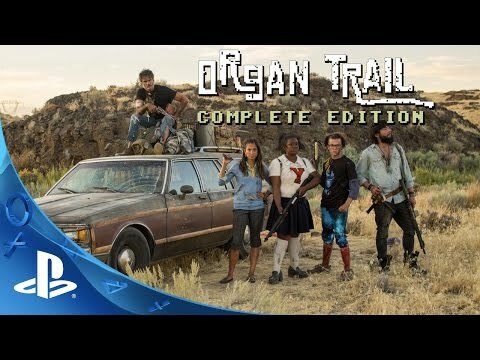 Travel westward in a station wagon with 4 of your friends, scavenging for supplies and fending off the undead; Faithfully recreated it as if it were found on a classroom computer from the 80s. Packed full of zombie mechanics, themes and references, Organ Trail is a must have for any zombie survival fans. Organ Trail Complete Edition includes the Endless Expansion and the new Final Cut Expansion! The Final Cut Expansion doubles the content and adds co-op play, loads of new boss fights, zombies, unlockable characters and cars, new ways to die with a radiation mechanic and the ability to choose-your-own-route. © 2015 The Men Who Wear Many Hats. All rights reserved.